1. The Bill for Union of Churches in Canterbury. 2. That Laymen, having Wives, may be Priests, and have Benefices. 1. 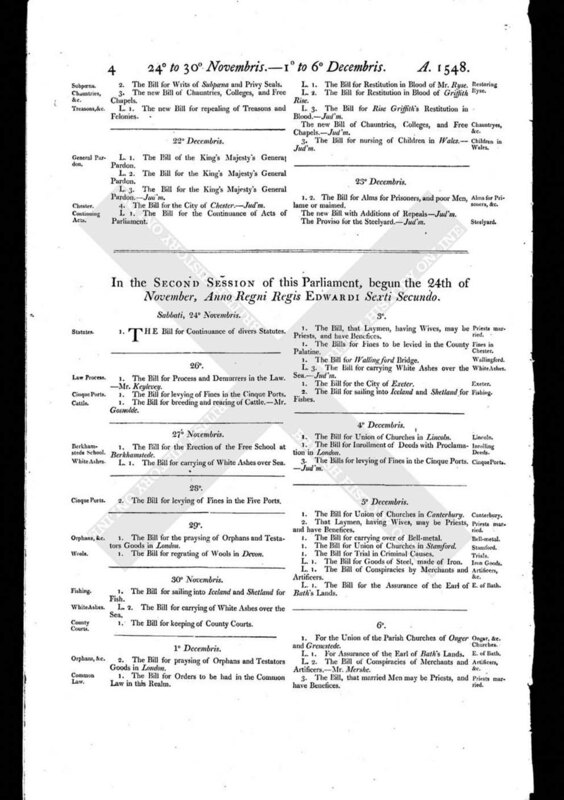 The Bill for carrying over of Bell-metal. 1. The Bill for Union of Churches in Stamford. 1. The Bill for Trial in Criminal Causes. L. 1. The Bill of Conspiracies by Merchants and Artificers. L. 1. The Bill for the Assurance of the Earl of Bath's Lands.